Kids can win awesome prizes by filling out this special online survey. All you have to do is help name Tūranga’s intergalactic heroes, the Bookbots. Local primary and intermediate students can vote on their favourite names for the digital characters and go in the draw to win prizes. Voting is open until 31 July 2018 (limited to one entry per student). For beginners and green-thumbed foodies, this unusually all-inclusive garden-to-kitchen cookbook is part lesson in gardening and part collection of healthy, delicious, kid-friendly recipes. With vibrant photo-illustrations and clearly organized sections, discover how to plant seeds in patio containers, window boxes, or on an allotment; harvest fruits and vegetables; determine which plant parts are edible; spot pests in the garden; and use home-grown crops to cook everything from bean and bacon spaghetti to polenta chips to tomato, feta, and basil pizza. Have you ever wondered how a dinosaur would measure up against the Great Pyramids of Giza, if a hummingbird could outfly a jet plane, or how many atoms could fit inside a grain of sand? 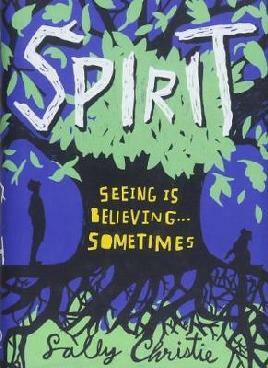 These are just some of the questions explored in this extraordinary book of comparisons. 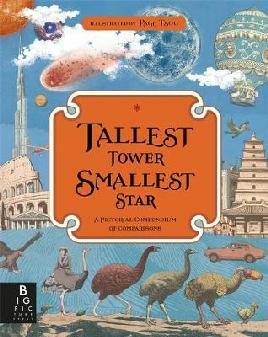 Detailed images drawn to scale, informative text and unexpected visual analogies will help the reader to comprehend just how fast, how strong, how small and how big things really are. With stunning Victorian-style artwork by award-winning illustrator Page Tsou, this visual feast of a compendium will surprise and delight inquisitive minds in equal measure. Peek inside and discover a beetle that is stronger than an elephant, meet the pterosaur that was bigger than a spitfire and explore the furthest reaches of the known universe. "Creativity meets curiosity and critical thinking in this project book from the #1 New York Times bestselling team behind Iggy Peck, Architect, Rosie Revere, Engineer, and Ada Twist, Scientist. Iggy Peck takes readers through more than 40 exciting STEM and design projects and activities, from drafting and doodling to building and blueprints. Aspiring architects and young dreamers of all kinds will get a sense of the unique mix of science, technology, and art skills used to create lasting structures. Packed with the same quirky humor and gorgeous illustration that made Iggy Peck, Architect a hit, the project book will appeal to fans who are craving more from Miss Greer's clever class"
See the galaxy with Han Solo: street thief, soldier and scoundrel. Delve into Corellia's criminal underworld. Discover how Han first met Chewbacca. Meet the party guests on Dryden Vos' luxury star yacht. Learn about the game of sabacc; its rules and its rule breaker. Find out where Lando Calrissian stores his cape collection! 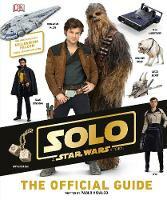 Produced in collaboration with Lucasfilm and written by Star Wars expert Pablo Hidalgo, Solo: A Star Wars Story The Official Guide explores new worlds, characters and vehicles in unparalleled detail. "This guide introduces kids and preteens to mindfulness through exercises, meditations, and writing prompts"
Invent it! 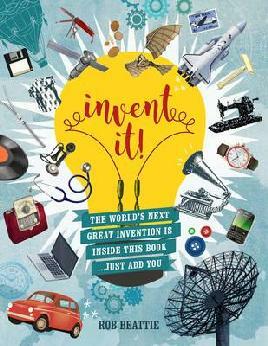 : The world's next great invention is inside this book just add you! A guide for budding inventors describes the creative process of designing and prototyping ideas through the patenting, manufacturing, and marketing processes. Hiding his friendship with an extraordinary fizzy friend named Floyd, Harold Fuzzwonker works with his parents to protect a top-secret family recipe for the world's greatest soda pop, which is coveted by the evil Snood Candy factory. By the author of the Land of Elyon series. Alexander Graham Bell invented not only the telephone, but also early versions of the phonograph, the metal detector, airplanes, and hydrofoil boats. This Scottish immigrant was also a pioneering speech teacher and a champion of educating those with hearing impairments, work he felt was his most important contribution to society. Bell worked with famous Americans such as Helen Keller and aviators Glenn Curtiss and Samuel P. Langley, and his inventions competed directly with those of Thomas Edison and the Wright Brothers. This unique biography includes a time line, a list of online resources, and 21 engaging hands-on activities to better appreciate Bell's remarkable accomplishments. From the first wheel to the International Space Station, the miracles of engineering are all around us. Think cars, bridges, skyscrapers, and yes – even bubble wrap! Engineers dream up new ideas and bring them to life while figuring out creative solutions to problems they encounter along the way. But how do they do it? Find out in Solve This! In this fun book, kids are confronted with wacky scenarios like this one: You're playing with your little sister when a vulture swoops down and grabs her favorite teddy bear. Mid-flight, the vulture realizes it doesn't care for the taste of fake fur and drops it to the ground. But now the plushie is on the other side of a raging river. How do you stop your sister from crying, stay safe, and save the day? Each challenge invites kids to think creatively to problem solve. Then they can see how different National Geographic explorers tackled the challenge. One of the big lessons? There's often more than one solution! "It is up to Nick Slate to find the last of Nikola Tesla's powerful inventions--or face devastating consequences"